The High School´s college preparatory curriculum includes formal Bible instruction. 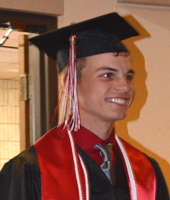 Strong academics from a Biblical perspective are the mark of the High School program. Students are challenged to achieve the full potential intended by God by a faculty who genuinely care about their progress and well-being. Parents are informed of a student´s progress through mid-quarter reports, quarterly report cards, and formal and informal conferences. In addition, prospective students are invited to visit and observe classrooms by prior arrangement with the Admissions Officer. 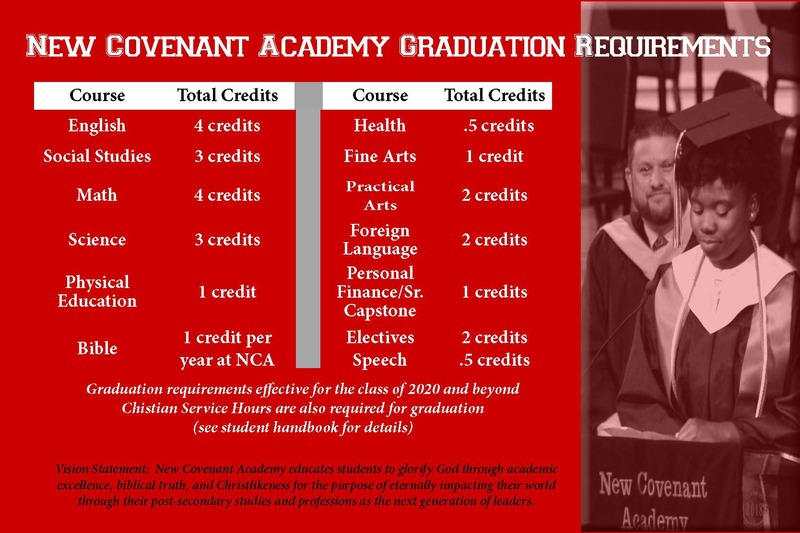 New Covenant Academy's course catalog is an invaluable resource for NCA students and their parents. This academic handbook covers the following areas: 7-12th-grade course descriptions, study tips, explanation of assessments, college and career planning tips and advice for college admissions. Time: 7:45 a.m. to 3:15 p.m.
Standards for dress and conduct are designed to produce an appropriate climate for academic performance and success. Students are not expected to dress uniformly. However, they are expected to avoid extremes. The manner in which students present themselves is part of Christian training and always reflects consideration for others. In addition, the rules of common courtesy, politeness, and modesty are stressed. Students are also expected to behave with decency according to Christian principles. More information regarding specific dress, grooming, and conduct is available in other school publications.